Mark Larson, who led the rocky rollout of the state's health insurance exchange, is leaving his job as commissioner of the Department of Vermont Health Access in March, Gov. Peter Shumlin's office announced Tuesday. Both the governor and his outgoing commissioner said Larson made the choice himself to leave. “Mark led the department through some challenging times, but no one cared more or tried harder to overcome those challenges so Vermonters could access affordable health care than Mark," the governor said in a written statement. 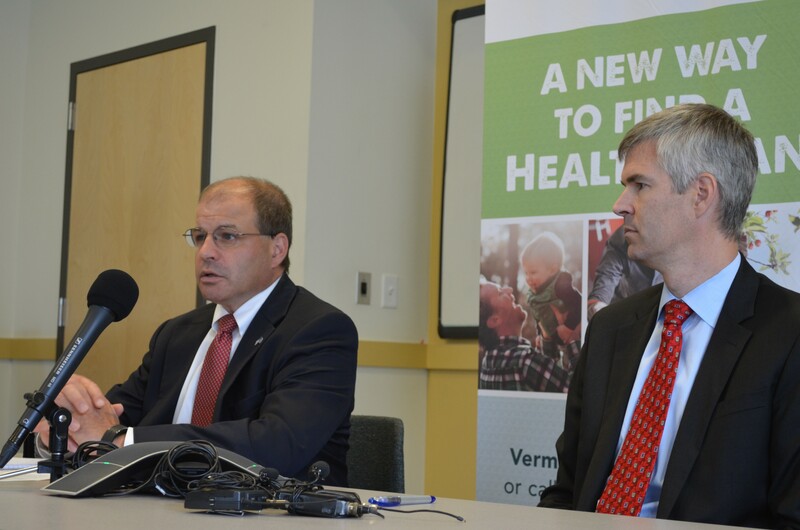 "Thanks to the work of Mark and others, tens of thousands more Vermonters are now insured. I appreciate his service and understand his desire to take some time to step back and explore new opportunities." “I don’t currently have any specific plans to announce for what I plan to do next,” he said. Larson is the latest in a series of high-profile members of Shumlin's Agency of Human Services team to depart since last summer. Last August, Shumlin fired then-secretary Doug Racine. In September, Department for Children and Families commissioner Dave Yacovone left voluntarily following the deaths of two young children under DCF’s supervision. Since its launch in October 2013, the federally-mandated Vermont Health Connect has consistently fallen short of expectations. As commissioner of DVHA, which has jurisdiction over the website and oversees the state’s other public health care programs, Larson has taken the brunt of the blame. He was publicly chastised by Shumlin and House Speaker Shap Smith (D-Morristown) in November 2013 for misleading the House Committee on Health Care about a security lapse in the system. Larson’s role at the department has been limited for some time. Last January, Shumlin assigned Lawrence Miller, then his secretary of commerce, to oversee Vermont Health Connect. In September, after Miller had been named Shumlin's chief health care adviser, Larson was stripped of his oversight of the federally-mandated insurance exchange. “The last three years have involved a historic transition in health care for Vermont and our country, and has not been without its challenges. I am proud of the fact that in Vermont we have reduced by half the number of uninsured Vermonters and are on track to significantly reform how Medicaid pay providers for health services,” Larson said in a statement. “I am proud to have been part of this tremendous effort. As the department prepares to engage its next phase of work, it is time for me to move on to new opportunities. I look forward to stepping back to the role of citizen and witnessing the continued progress toward coverage for all Vermonters and more rational ways to pay for health services,” he added. Larson represented Burlington in the Vermont House from 2001 until 2011, when he was appointed to the administration. He served as chairman of the health care committee and ran for speaker in 2009, losing to Smith. According to the administration, he will stay on until March to help deputy Lori Collins transition to interim commissioner. The governor said he's looking for a permanent replacement.